partnership involving both the UK customer, who is perhaps using the carpet as a prominent designer carpet in a fashionable London Townhouse or beautiful showpiece contemporary carpet in a Cheshire Barn Conversion. Be assured the balance is a fairly traded one that provides beautiful results at both ends of the supply chain. 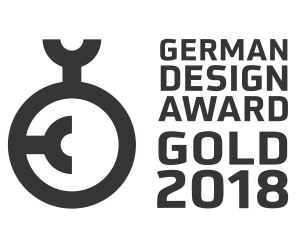 In this respect we are pleased to provide our customers with as much transparency as possible thats better reflects the entire production process involved in making a handmade designer carpet and by doing this we hope to highlight the benefits brought by the merchandising of the goods that we import. Fundamental to our supply chain for beautiful designer carpets is the magnificent work being undertaken by the Jaipur Rug Foundation, an India based Foundation with the general mandate of essentially providing a non-agricultural dependent form of steady income. Achieving this objective is done so by skill building and skill up-gradation training to those artisans associated or who desire to be associated with the carpet weaving trade and by the provision of such a means a substantially increased and stabilised level of dependable income for the remote and otherwise poor villages in rurual India. Needless to say Income generating opportunities at the door steps of artisans residing in the remotest of the locations carries a lot of significance in poverty alleviation and not least the skill development landscape due to the provision of livelihood opportunities to illiterate and poor people at their own doorstep. As the process of weaving designer carpets doesn't require massive infrastructure establishment at such local levels it empowers the poor to acquire traditional skills within their own village - which in turn serves as an essential work opportunities without the pressure on the villagers to actually migrate out from their villages into larger towns or cities for the quest of other, often non skilled based employment. Transport of the raw materials and finished goods is also taken care Jaipur Rug Foundation by sending the raw materials out the rural artisans and the bringing back the weaved products, thus relieving the artisans of the burden of spending their own time and resources. Furthermore, flexible working hours and output based wages enhance livelihood options of rural poor as per their needs. The carpet value chain at the grassroots is normally considered to be of an exploitative nature. The rug sellers, instead of directly engaging with the artisans, operate through contractors and subcontractors. In such process, a significant amount of money that could have been earned by the artisans gets absorbed by these intermediaries. 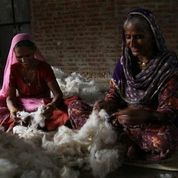 The Jaipur Rug Foundation, by setting up its own offices in the production areas, has innovated in establishing direct linkages with the artisans and in doing so has ensured that the artisans enjoy enhanced earnings, routine health checks, and the facilitating of school education endowments loans - all through the narrowing of the supply chain linkage. For better clarity in understanding the full production process of our designer and contemporary carpets we have put together a somewhat summarised series of the procedures and circumstances that involved in the production of our carpets and rugs. The basics begin with the consumer appreciation and demand for stunning handmade designer and contemporary carpets and rugs in their homes and not least this begins with an appreciative understanding to the significant role the carpet plays as an anchor point for the colours and balance of harmony to the room setting. Bikaner, Rajasthan - India. 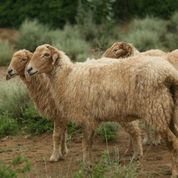 The wool produced by the Bikaner sheep has been greatly favoured by artesian weavers in Indian for centuries. The hard wearing but soft to touch properties of the Bikaner wool also benefits from an excellent dye absorption capacity thus making it an ideal choice for vibrant handmade designer and contemporary carpets which in turn supports the stunning creativity of the designers work by adding a luxurious sheen to the finished carpets. Rural Rajasthan - India. 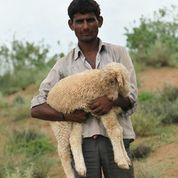 The spring wool is sheared locally before being brought by the local farmers to the market places of Bikaner, prior to grading the wool is sold off - some of the very finest material of which is procured by the Jaipur Rugs Foundation whereby it's taken to numerous rural Rajasthani villages in to be carded and spun into usable yarns. Carding is a very labour intensive process that disentangles, cleans and intermixes the fibers to produce a continuous web of fine wool mesh or web. The webbing process is achieved by passing the fibers between differentially moving surfaces. The process breaks up the unorganised clumps of fibre and aligns the materials as individual fibres to be pulled and drawn parallel with each other, notably all by hands of the village weavers. Following the carding process the villagers set about hand spinning the wool whereby the wool fibre is sought to converted by the twisting together of drawn out strands of fibres to form the yarn. The spinning wheel device as shown in the photo makes a rather imaginative use of re-cycled bicycle wheel with the occasional application of the spinner's foot to create a truly creative gearing technique. Jaipur Rug Foundation HQ, Jaipur - Rajasthan After the carding and spinning process is complete the wool is then collected from the village to be taken to the Jaipur Rug Foundation operations centre for cleaning and dying by the master dyers. 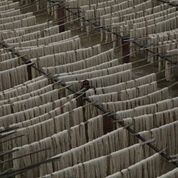 The wools are batch dyed in huge vats before being brought out into the open air to be sun dried. 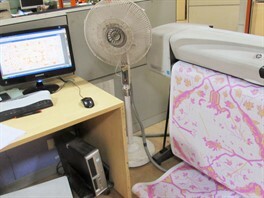 Also located at Jaipur HQ is the Carpet Design and Mapping department. Mapping is the process of transferring the carpets design into a numerical knotting sequence for the weavers to follow, with each number relating to the colour of yarn to be knotted. The map is then then printed off (in its numerical format) with several different coloured sample pieces of wool being attached to it to serve as a reference and instruction to the weaver, thereby telling the weaver the colour of yarn to weave - and importantly when to do it. The weaving process is thereafter commenced by the village weavers, invariably this is women who set about the very time consuming process of tying each and every piece of pile that goes into the carpet onto and between the weft and weave, sometimes referred to as the carpets foundation. The knotting process for each piece of pile is not too dissimilar as process to that of tying a shoe lace. 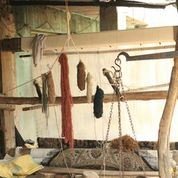 This process is repeated horizontally repeated for approximately six time before the knots are batted down with a heavy hand held comb like tool which compress the knots together into a very firm well locked and upright manner, the strand of yarn is then cut off with a hook like knife which in turn leaves a single piece if pile. This entire process is repeated along the length of the rug in a horizontal manner until each line is complete the next line up and above it is commenced. As an approximate idea of knot count we typically see something in the order of approximately 120 knots to one given square inch. The photo below illustrates a carpet undergoing construction in the village a Narhet Rajasthan, the small section of this to be 300x240cm carpet has taken two weavers over three months to complete this small amount. The setup of the looms in these photos is pretty much a fair representation of typical loom arrangement. For all intents and purposes the looms, which are heavy duty metal looms are brought directly to the weavers by the Jaipur Rugs Foundation, these are routinely situated in quite close proximity the main dwelling. In most circumstances this arrangement consists of a small bungalow style residence (for sleeping and eating) which is enclosed by a private court yard of approximately 50m2, albeit during the weaving different families and friends seemingly move around from one residence to another - often in order to help others in meeting any schedules or deadlines for the carpets to completed. And often to just have a chat or socialise etc. 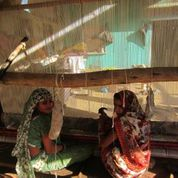 In terms of payment the weavers typically earn about 250 India Rupees a day - this currently equates about £2.30 GBP. As the weavers actually get paid on a per production basis this amount can vary a fair bit. Although the earning aren't anything like the UK's average income is a regular form of income which is non-agriculturally linked - accordingly allowing the weavers the opportunity to save and reinvest in their own local infrastructure. Beyond this most immediate means of direct income the Jaipur Rugs Foundation also provide for the weavers an Alternative Education Program towards functional literacy to illiterate artisans and the wider village community members. 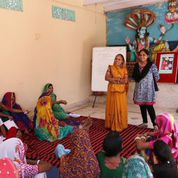 Classes, taken by teachers chosen from amongst the educated women of the community take place for two hours every day for a total duration of six months. The educational training centres where classes are conducted are located in the either their own or nearby villages, always within walking distance from the artisan's homes. Other measures managed by the foundation include that of Artisan Cards which are issued to the weavers by the Indian Governments Development Commissioner for Handicrafts. The foundation spreads awareness about Artisan Cards and helps weavers complete all formalities involved in. These cards in turn enable the weavers to receive a form of identity as skilled artisans and entitle them to various benefits associated with the program. Being in possession of the cards doesn't just offer a sense of personal empowerment it also opens many other door and avenues, for example having the card demonstrates a skill and dependable income - thus loans for schooling, medical care and many more aspirations can be legitimately considered. 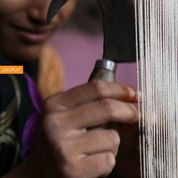 Traditionally this matter of financial inclusion has been a major gap area in the development of rural communities in India with only a very small number of people have been able to derive benefits from banking services, in this regard JRF helps in the process of opening bank accounts for the artisans. Locally accessible banking services (conventional as well as innovative) are identified and artisans are thereby connected with these institutions. Not least most rural artisans don't have access to insurance because of a lack of knowledge and those who are aware of insurance programs are often unable to navigate formalities or claim processing requirements. JRF reaches out to the artisans and helps them gain these benefits. Regarding the health of the artisan weavers the foundation have initiated Health Camps which are routinely organized in villages in partnership with local healthcare providers and healthcare innovators. The poorest members of the village community are given access to expert check-ups and treatment at their doorstep. These initiatives are useful in treating general ailments. Those with severe health issues are provided with diagnoses and are referred to specialized hospitals for proper care. In terms of the communicating of this essentially life changing information and availability of resource each of the village artisans receive quarterly publicized magazine from the foundation with news, all the events and updates they may need to know. Back on track to the actual production - after the carpets has been complete and taken off from the loom the foundation collects them and them back the city of Jaipur to receive their final and finishing touches, cleaning and packaging prior to being shipped to our Cheshire showroom.